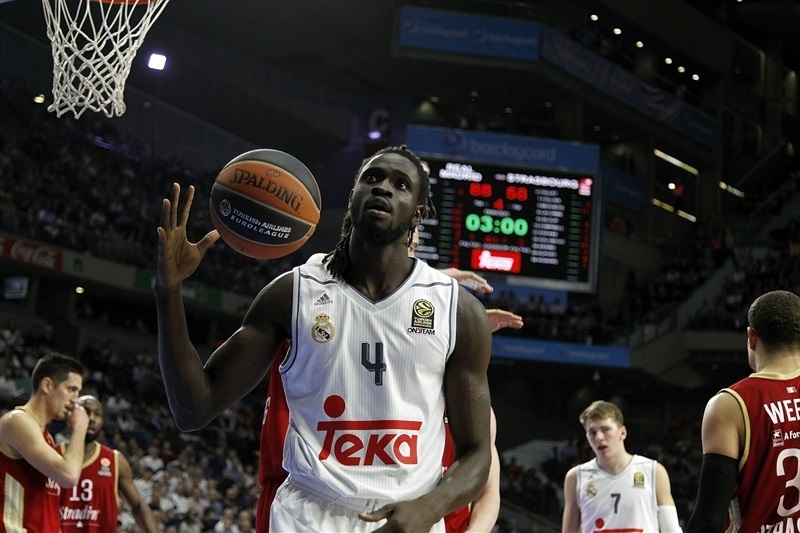 Real Madrid advanced to the Top 16 from Group A by thrashing Strasbourg 97-65 in the Spanish capital on Thursday. 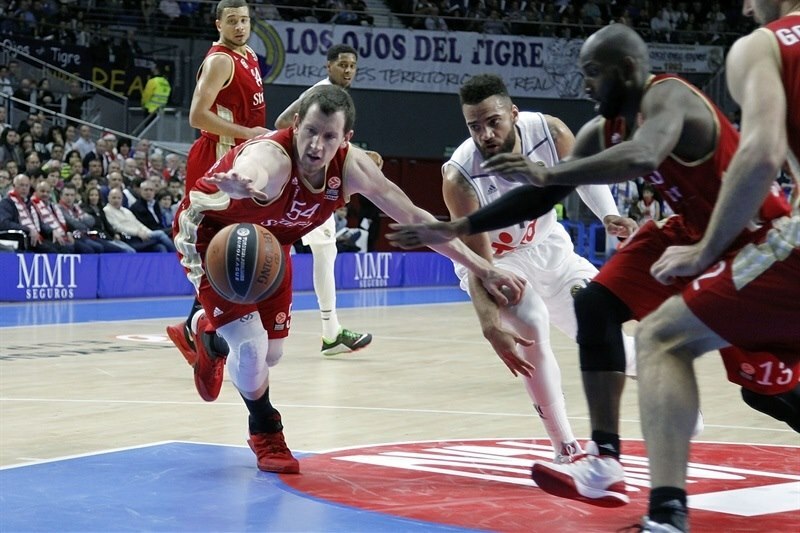 Madrid, the reigning Turkish Airlines Euroleague champion, finished the regular season with a 5-5 record to advance; its final standing will not be known until after Friday’s games. Strasbourg goes out from sixth place with a 3-7 record. Jeffery Taylor led the winners with 16 points, Sergio Rodriguez added 14, Felipe Reyes and Trey Thompkins each scored 12 and Jonas Maciulis and Jaycee Carroll got 10 apiece for Madrid, which broke the Euroleague's all-time assist record with 36. Six different Madrid players recorded at least 4 assists, led by Luka Doncic, who dished 7 in 13 minutes. Rodrigue Beaubois had 17 points for Strasbourg while Vladimir Golubovic had 10 and 9 rebounds. Maciulis and Sergio Llull fueled an 11-0 run that gave Madrid its first double-digit lead, 19-6. Madrid boosted its margin to 29-15 after 10 minutes and then again to 52-37. Nothing changed after the break, as Madrid kept rolling to get a 75-50 lead after three quarters to seal the outcome long before the final buzzer. 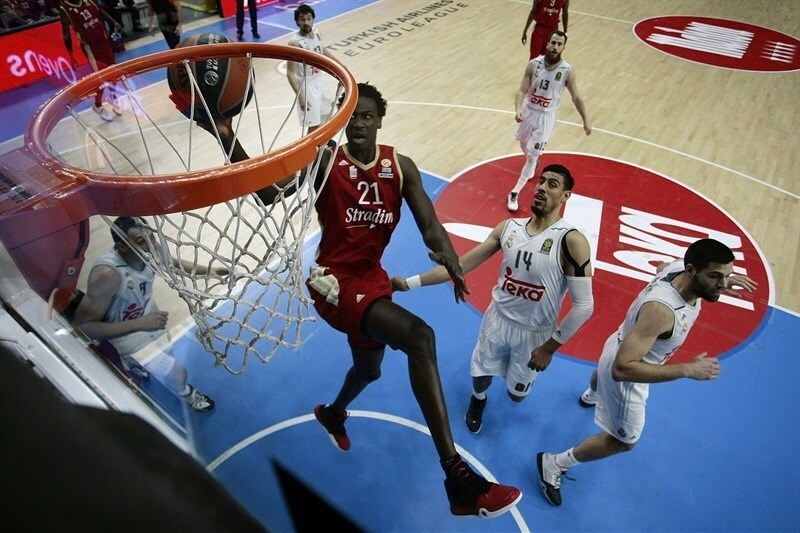 Bangaly Fofana got Strasbourg going with an alley-oop dunk, as Madrid was held scoreless in the opening 2 minutes. Los Blancos missed their 4 opening shots and committed 2 turnovers before Rodriguez struck from downtown. Matt Howard and Maciulis exchanged layups and another three-pointer by Rodriguez boosted Madrid's lead to 8-4. 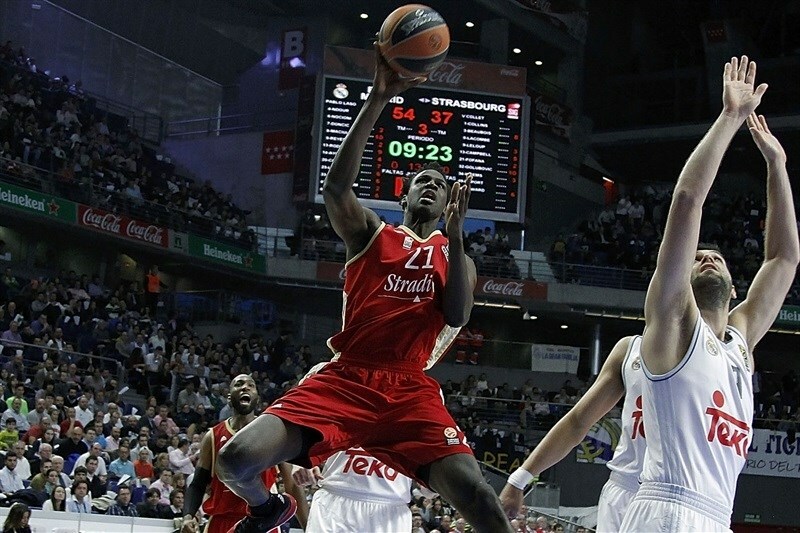 Howard shined with a tip-in, but Reyes scored around the basket and Gustavo Ayon gave Madrid a 6-point margin. Strasbourg kept struggling to score while a fast break layup by Maciulis and a big triple by Llull made it a double-digit game, 17-6. A fast break dunk by Maciulis forced Strasbourg to call timeout at 19-6. Golubovic stepped up with a three-point play that Llull matched with a bomb from downtown. Maciulis made free throws, but Golubovic brought Strasbourg a bit closer, 24-12. After Ayon scored again, Kyle Weems sank a three-pointer, but Thompkins answered from downtown for a 29-15 Madrid lead after 10 minutes. Carroll took over with a driving layup early in the quarter, as Strasbourg started to miss close shots. Taylor shined with a reverse layup and free throws by Jeremy Leloup kept the guests within 33-18. Carroll made foul shots and Doncic added a driving layup. A close basket by Taylor caused Strasbourg to stop the game at 40-18. Golubovic and Taylor scored around the basket, but Louis Campbell sank a mid-range shot. A one-handed jumper by Carroll put Madrid ahead 44-22. Campbell struck from downtown and Beaubois added a corner triple before the hosts stopped the game at 44-28. Willy Hernangomez stepped up with a layup, but Beaubois did better with a catch-and-shoot triple. After Rodriguez answered from downtown, Beaubois hit a jump hook and free throws by Howard gave the guests hope at 49-35. Golubovic buried a close jumper that Thompkins improved on with a corner triple to give Madrid a 52-37 halftime advantage. Maciulis hit a fade-away jumper soon after the break and a layup by Reyes boosted Madrid's lead to 56-37. Beaubois stepped up with a second-chance layup. Reyes sank free throws, but an up-and-under basket by Jeremy Leloup kept Strasbourg within 58-41. Reyes hit a mid-range jumper before Beaubois downed a one-handed floater and a free throw by Howard made it a 14-point game. Llull sank foul shots and Rodriguez added an uncontested layup, but Beaubois followed another floater with a corner triple to get to 64-49. Reyes hit a jumper from the left wing and a free throw by Rodriguez kept Los Blancos rolling. Rodriguez kept pacing Madrid with a backdoor layup and a dunk by Thompkins ignited the crowd at 71-49. Reyes downed another mid-range jumper and Taylor added an off-balance basket. A free throw by Campbell fixed the score at 75-50. Fourth quarter: Madrid goes through! Ayon sent a no-look assist to Taylor for a layup early in the quarter. Strasbourg was held scoreless for two minutes until Mardy Collins stepped up with a driving layup. Ayon found Thompkins for a slam and connected with him for a layup that boosted Madrid's lead to 81-52. A fast break dunk by Taylor caused Strasbourg to stop the game at 83-52. Doncic fed Mo Ndour for an alley-oop layup and free throws by Taylor made it a 35-point game. Both teams opted to sit their main players, as the outcome was completely clear. Madrid pleased thousands of fans with a big win that allowed the team to keep fighting for Euroleague glory. 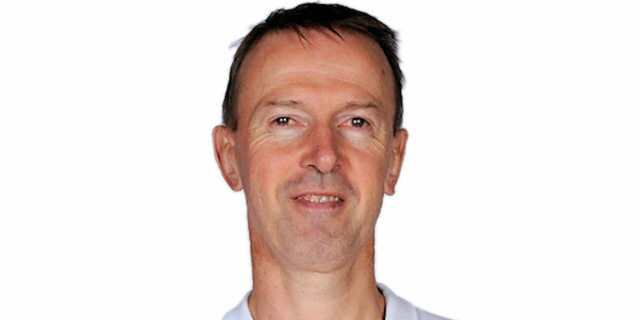 "We played a good game today against a team that competed very well in the Euroleague Regular Season and kept its Top 16 options open until this week. It was really hard for us to make it to the Top 16, but we improved in time to make it. We are growing as a team and doing things well, but it something hard for people to understand that even when we lose, the team can grow. We don't have to be completely happy with everything we did until now. There is a lot of room for improvement and we have to face the Top 16 against the best teams in Europe." "I think there is not a lot to say. There was a big difference between Real Madrid and our team tonight. I was hoping we would be able to play much better and push them a little bit, but unfortunately, the game lasted very few minutes. 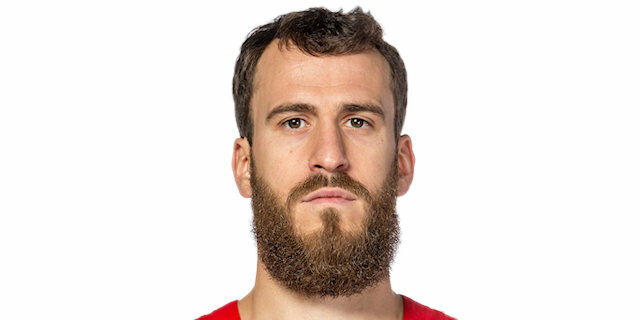 We missed some opportunities and after that, Sergio [Rodriguez] first and all of them after him started to create fast break points, and the game was over. We tried to come back with a zone defense in the second quarter, but we could never play with the same quickness as Real Madrid, which was simply fantastic tonight - 36 assists! This Madrid is a lot better than us." "The team improved a lot in the last three weeks and that allowed us to make it to the Top 16. We were very tired at the start of the season after winning it all last year and that probably stopped us from being as focused as we should be. I am very happy because these three weeks were very tough, but when the going got tough after losing in Belgrade, we won three games due to our good defense." "Real Madrid is the champion of the best competition in Europe. That means a lot and they showed it today. We knew exactly what we had to do today and knew that our game plan had to be very different from Madrid's. We knew the game would be very different from the one we won at home, but even with that, we couldn't even make things tough for them. 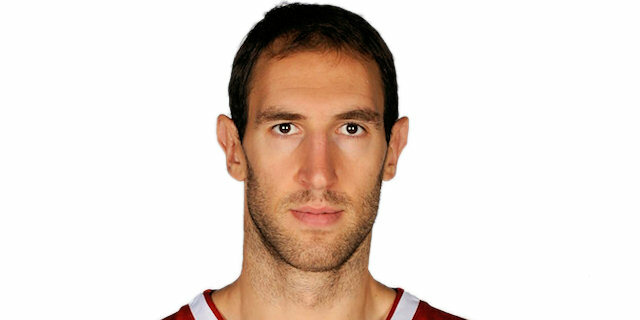 You are never happy when you are eliminated from the Euroleague, even though we had three good wins. In the end, it was not enough for us to qualify and we have to play the Eurocup in the near future. We will go back to the French League now, with three consecutive games."